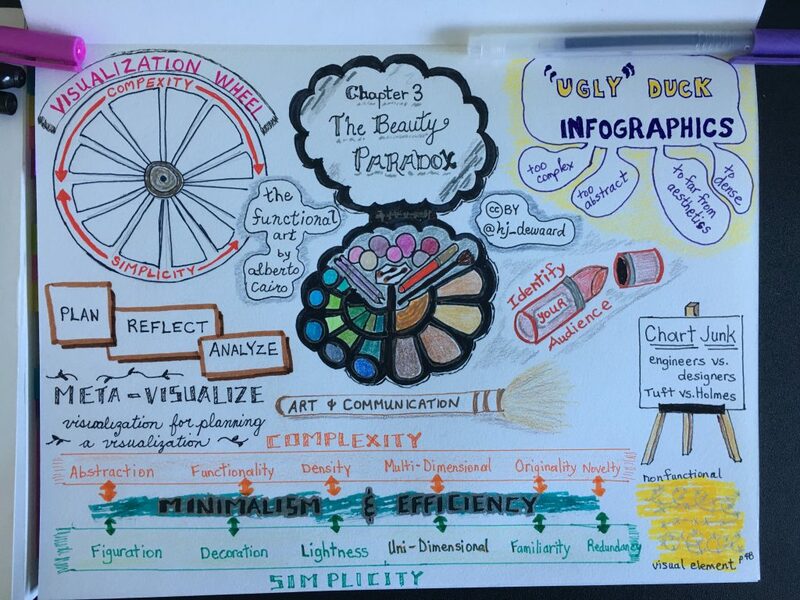 This is a collection of images I’ve created as a chapter by chapter review of the book The Functional Art: An introduction to information graphics and visualization by Alberto Cairo (2013). 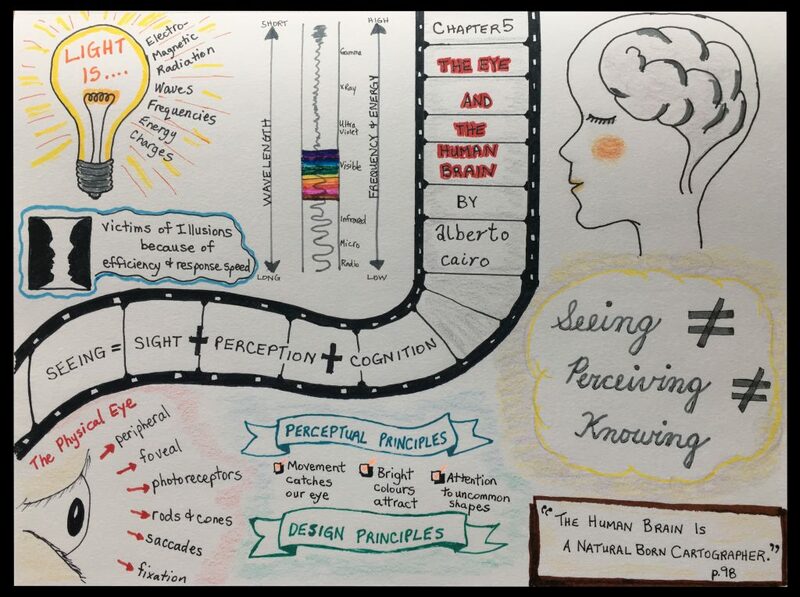 Further information is available on the related website about the book. 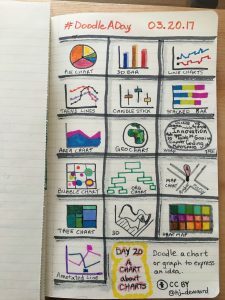 This began from a series of graphic images I was creating during a Doodle-A-Day activity where I created a Chart About Charts. 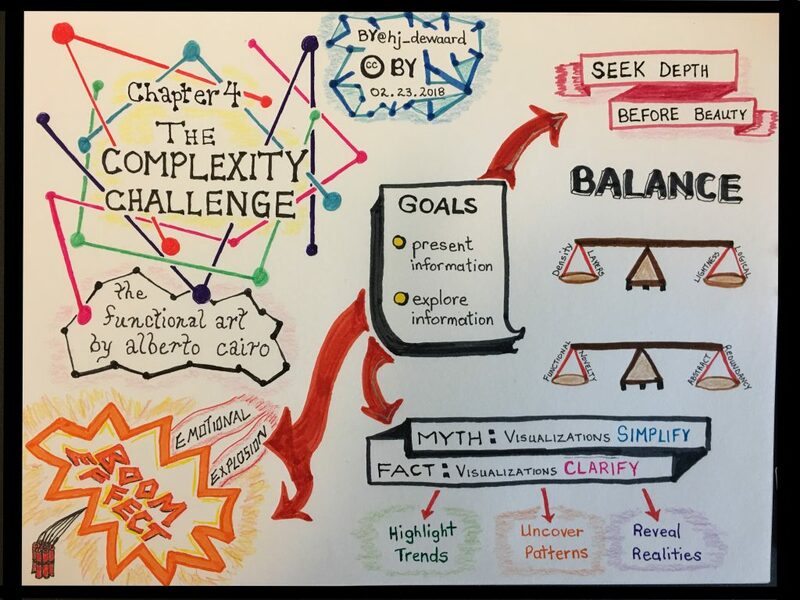 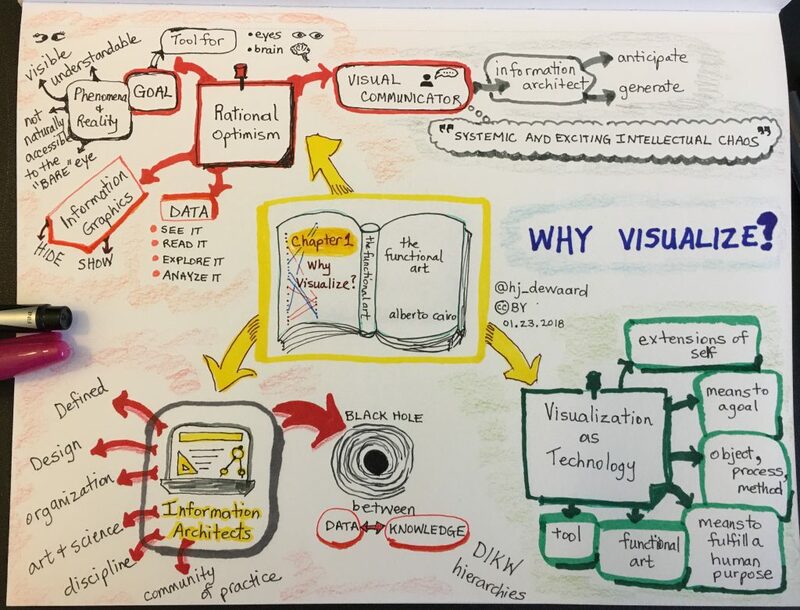 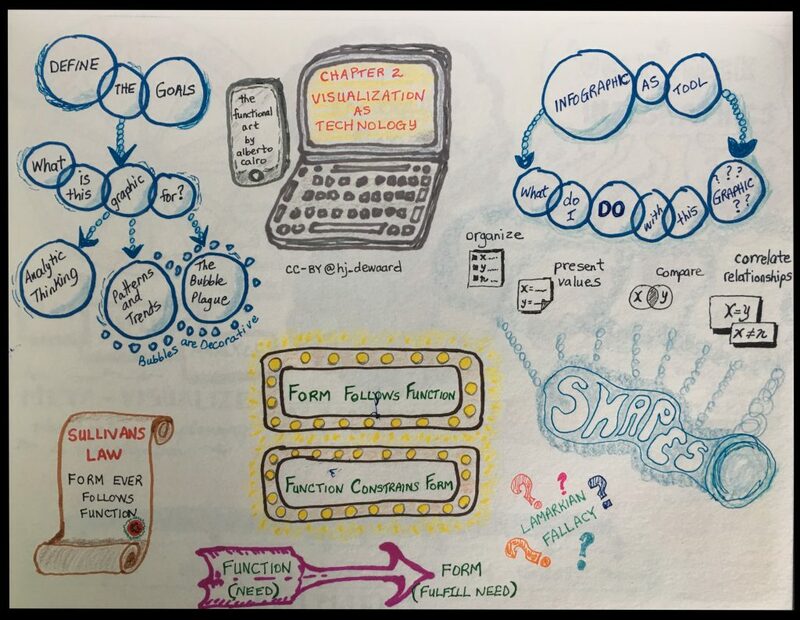 Subsequent sketchnote visualizations will be added here as they are completed.